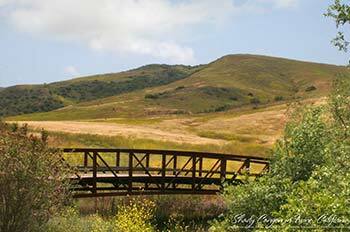 Stretch your mind and body on this 2.4-mile hike with a yoga twist over steep and uneven terrain (100-ft. elevation gain) led by Laguna Canyon Foundation volunteers. Please bring a towel and water — yoga mat optional. For ages 12 and up. Aliso & Wood Canyons Wilderness Park, Canyon View Staging Area: Begin at Wood Canyon Trail off Canyon Vistas in Aliso Viejo. From Pacific Park/Canyon Vistas intersection, go Northwest on Canyon Vistas. Park legally (note street signs) on or near Canyon Vistas, preferably between Coastal Oak and Madia (22144 region of Canyon Vistas). Wood Canyon Trail starts as a paved sidewalk between a neighborhood park and tree-lined easement, then becomes dirt trail into the canyon. 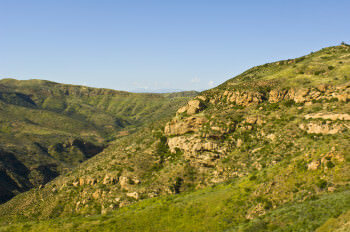 Hike leaders and participants will meet at the end of the paved sidewalk, entering the canyon. For questions, call 949-497-8324 Mon-Fri; 949-923-2235 Sat/Sun. Parking free.